The proper distance between your full spectrum LED grow lights and your plants is important to robust photosynthesis and growth. 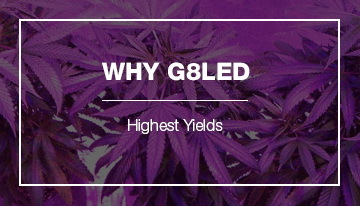 G8LED grow lights provide the wavelengths of light your plants need for healthy growth and maximum flowering. Plants will reach for the much-coveted light source just like they grow towards the sun in outdoor conditions. As the size and intensity of the light increases, so should the distance from the plants. 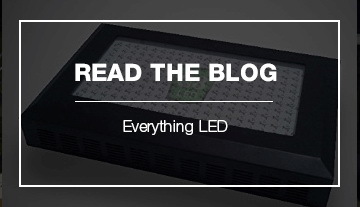 LED grow lights of different power ratings will perform best at different distances. As your plants grow and reach for the light, raise the light to keep the distance between the plants and light reasonably constant. If you want the plants to stretch, continue raising the light as the plants grow. The plants will reach for the light source and grow taller. Stop raising the light when you do not want more length or when flowering. For shorter, bushier plants decrease the distance. If you keep the distance fixed, the plants will find an equilibrium height and grow wider and denser. 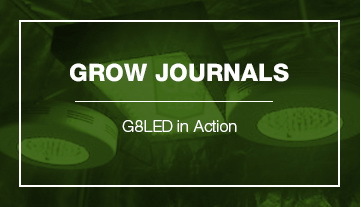 If the light is too close to the plants it will stunt growth and create discoloring. Follow the recommended distances and adjust as necessary. The distance can be kept constant during flowering. The 90 Watt Red Flower Booster is added at the same level as the Veg/Flower lights when the light cycle is reduced to 12 hours per day for flowering. 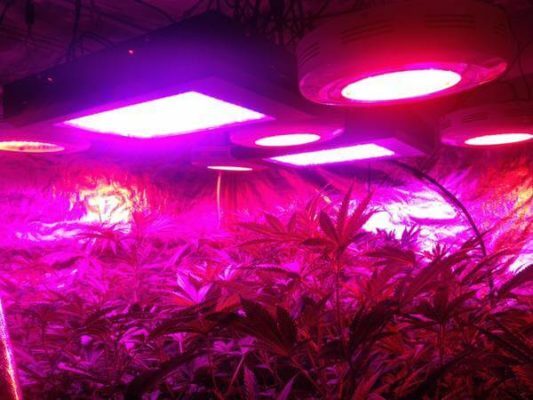 Since G8LED grow lights emit 90% less heat than traditional HID lights such as high-pressure sodium or metal halide bulbs your plants will not dry out or burn if you place your LED grow light to close to your plants. However, your plants’ growth will be stunted if the light is too close. Within a week you will notice that your plants are not experiencing robust growth and the leaves may become discolored. If you notice this, increase the distance between your light and the plants. Follow the recommended hanging distances and your plants will thrive in your grow room.